As to the scam itself, there are obviously a number of variations, but broadly speaking, they all follow the same basic script. 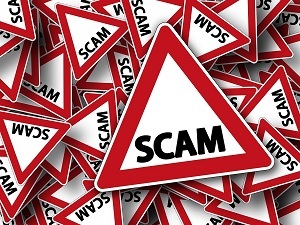 A scammer calls, pretending to be someone from the Social Security Administration. They inform the person they’re speaking to that they’re calling because suspicious activity was spotted as relates to the person’s account (credit applications and the like).